Warning labels that include photos linking sugary drink consumption with obesity, type 2 diabetes, and tooth decay may reduce purchases of the drinks, according to research published in Psychological Science, a journal of the Association for Psychological Science. 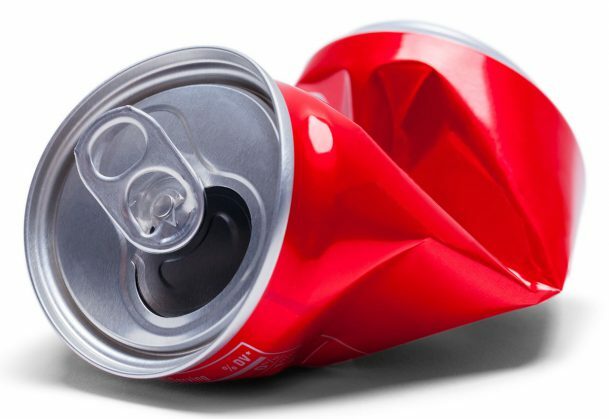 In a field study conducted in a hospital cafeteria, researchers found that graphic warning labels reduced sugary beverage purchases by 14.8%, while text warning labels and calorie labels had no effect. Donnelly and coauthors tested three different types of labels—text warnings and graphic warnings about the health risks of sugary drinks, and listings of the caloric value of the drinks—which they displayed near bottled and fountain beverages in a hospital cafeteria in Massachusetts. Each type of label was tested consecutively, with two-week “washout” periods between each test during which no label was displayed. More than 20,000 beverage sales were recorded during the study. The findings showed that during the weeks when the graphic warnings were displayed, the share of sugar-sweetened beverages purchased in the cafeteria declined by 14.8%. Consumers appeared to substitute bottled water for sugary drinks; total drink sales remained constant while purchases of water increased. The average calories per drink sold also decreased during that period from 88 calories to 75. The text warnings and calorie labels did not have a significant effect on beverage purchasing. Then, the researchers conducted two follow-up studies online. In the first, consumers were asked about how seeing a graphic warning label would influence their drink purchases. Findings showed that the graphic warnings increased negative feelings towards sugary drinks and prompted increased consideration of health risks over taste. In the second, nationally representative online study, more than 400 participants were asked whether they would support putting the three labels on sugar-sweetened beverages. When participants were told that graphic warnings were effective at reducing sugary beverage consumption, they were equally supportive of the graphic labels warnings compared to text warnings or calorie labels. Co-author Dan Svirsky is a doctoral student and senior author Leslie John is associate professor in the Negotiations, Organizations, and Markets Unit at Harvard Business School. Support for this study came from Harvard University’s Behavioral Insights Group and Harvard Business School. Zatz is supported by a T32 training grant (DK 007703) from the National Institutes of Health. All data and materials have been made publicly available via the Open Science Framework (OSF). The design and analysis plans for Study 1 and Study 3 were preregistered at ClinicalTrials.gov. The design and analysis plan for Study 2 were preregistered at the OSF. The complete Open Practices Disclosure for this article are available online. This article has received badges for Open Data, Open Materials, and Preregistration.